This fun tip was illustrated for a Jewelry design industry magazine. 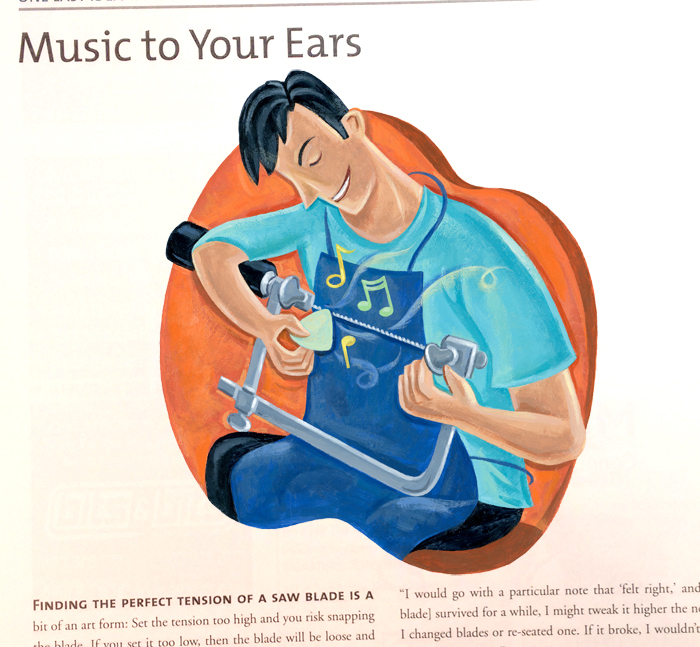 The article is about jewelry designers finding the perfect tension for setting their saw blade -- too tight and the blade snaps, too loose and it doesn't cut right. One jeweler used a guitar tuner and plucks the blade. When it matches an A or an A#, it's ready! Thanks to my client, MJSA. The American Bar Association commissioned these pieces for a couple of recent magazine articles. 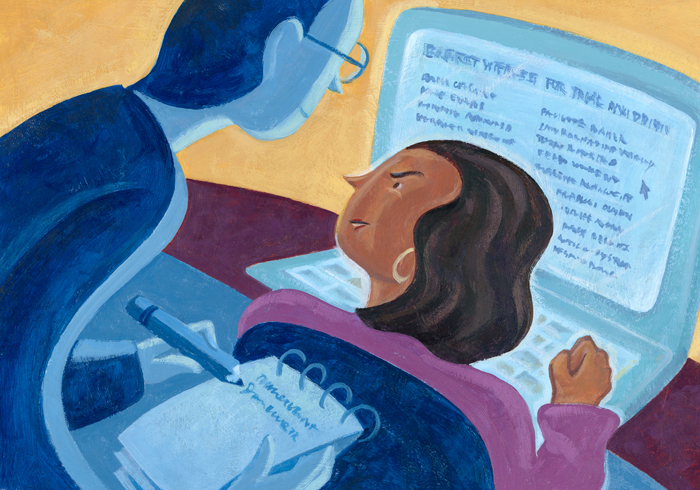 Above: 'Your Opponent Can Discover Your Experts' considers how, surprisingly, opposing lawyers can request the name of every expert their counterpart may be using in a case. 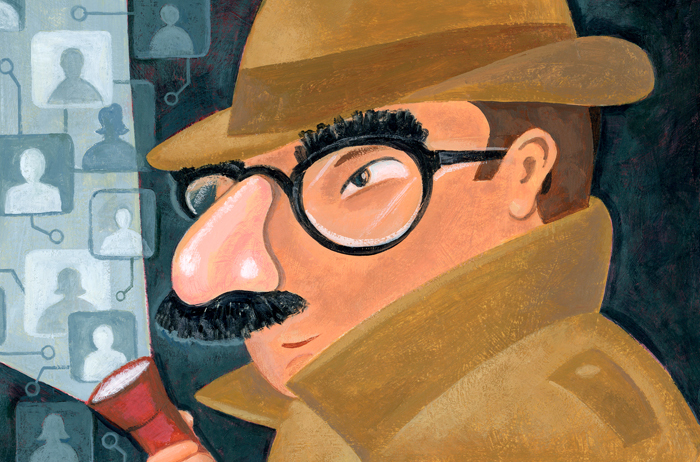 The second piece, 'Friending, Pretexting and Private Eyes' concerns how private investigators may pretend to be someone they're not in order to obtain information, especially in online networking. Fake nose/glasses optional. 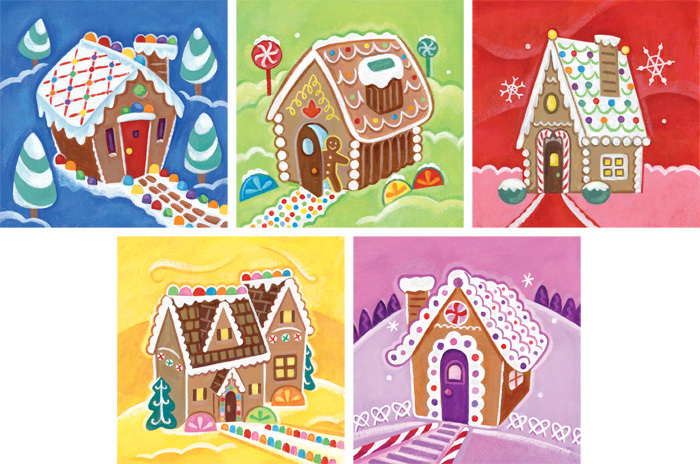 Just in time for the holidays: a new collection of festive illustrated Gingerbread Houses stickers. Geared towards kids (and kids at heart), the gumdrop and frosting-filled stickers are produced by Smilemakers (available on their site). I created the original painted illustrations in acrylic and the final sticker size is 2.5 inches (62mm) square. Did I mention they are scented, too?-- scratch and sniff for a faint smell of holiday treats! Thanks to the creative team at Smilemakers for the sweet project! Happy Holidays. Licensed Art for Sporty New Travel Gear. I recently created a handful of new baseball-related designs for a line of fun, handsome Bag Tags in collaboration with the Bergino Baseball Clubhouse. For a guy who loves baseball, this is an illustration project right in my wheelhouse. Great for Luggage, Golf Bags, Gym Bags, Laptop Cases, Backpacks --you name it, the luggage tags are made from high-quality embroidery on sturdy twill fabric. This is my first involvement in licensing art for a fabric product and I'm amazed at the details the manufacturer was able to capture. The colorful designs include "Home Run", "Hands on Bat", "Pitches", "Scoreboard" and "Play Ball". The tags measure 4 1/2" x 2 1/2" with a contact info card in the reverse side pocket. The "Sean Kane Collection" of bag tags made its successful debut at the National Stationery Show in 2014 and they are beginning to appear in gift retail outlets. I expected these would be a hit with kids as well as older "kids at heart" and happily had this confirmed after giving away a few bag tags on my recent travels-- Smiles all around and quickly put onto backpacks and suitcases! I've currently got one on my favorite Filson bag. 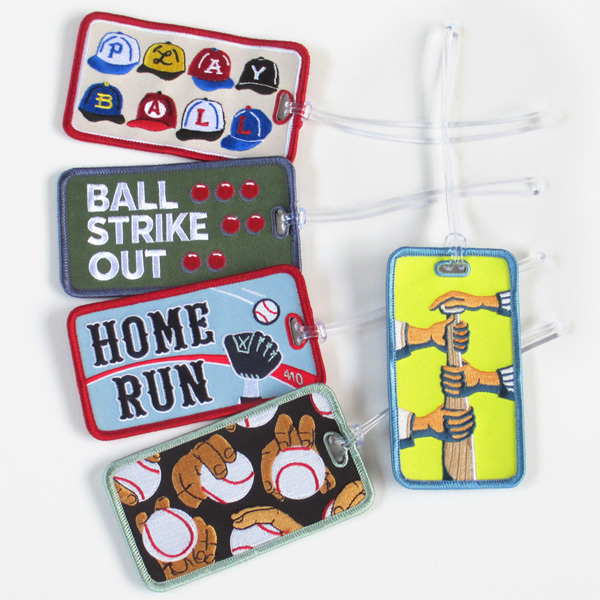 Wholesale and retail bag tag orders can be made by directly on Bergino.com and by calling 1-800-556-9420. Big thanks to Bergino for approaching me to add to their all-star lineup of products. Rogers' Chocolates has licensed my Skating image for another year, adding a decorative taste of Winter to their tin of 15-piece milk and dark chocolates. For six years now this design has been a part of their product line -- that's some shelf life! Great to see the continued success of this collaboration with Rogers' Chocolates. And happy to know that people will be giving these chocolates as gifts again this holiday season! Getting dark early. Morning frost on the ground. -- Must be Winter's turn soon. Just out to celebrate the upside of the season is this cheery set of stickers that I created for SmileMakers. It was a pleasure getting to collaborate with the fun folks at SmileMakers once again. A recent trio of spot illustrations I created are appearing in the Winter issue of Northeastern Law, the Northeastern University School of Law's magazine. Thanks to the Northeastern U. magazine team! Got a big idea needing a bite-sized image to convey it? Inquiries please contact: sean@seankane.com. All rights reserved. © Sean Kane.